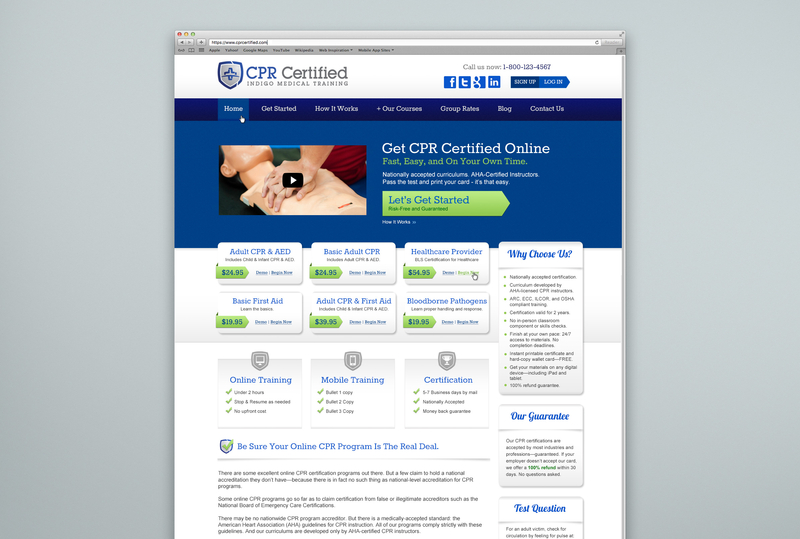 As a company, CPR Certified offers online educational training and certification. Their website enables anyone to learn CPR and receive an online certification after they have completed their training and testing. 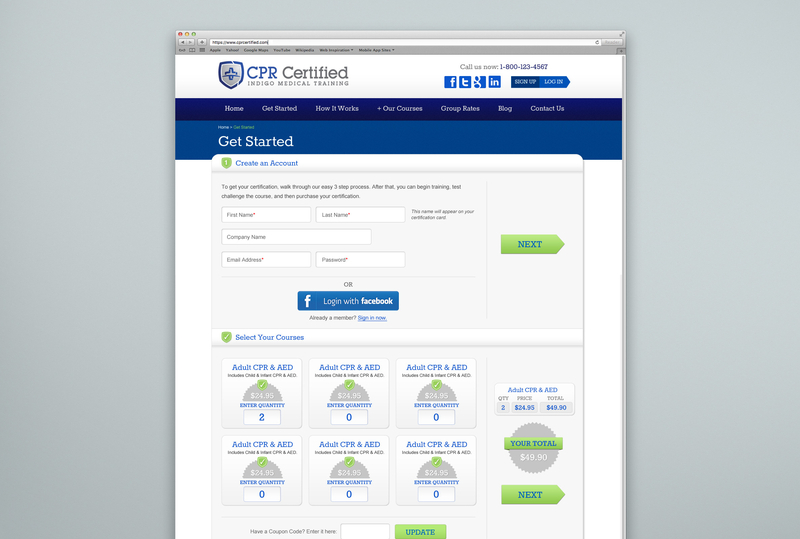 The new site, designed by RustyBrick, enables those looking to learn or freshen up on their CPR to do so from the comfort of their home. 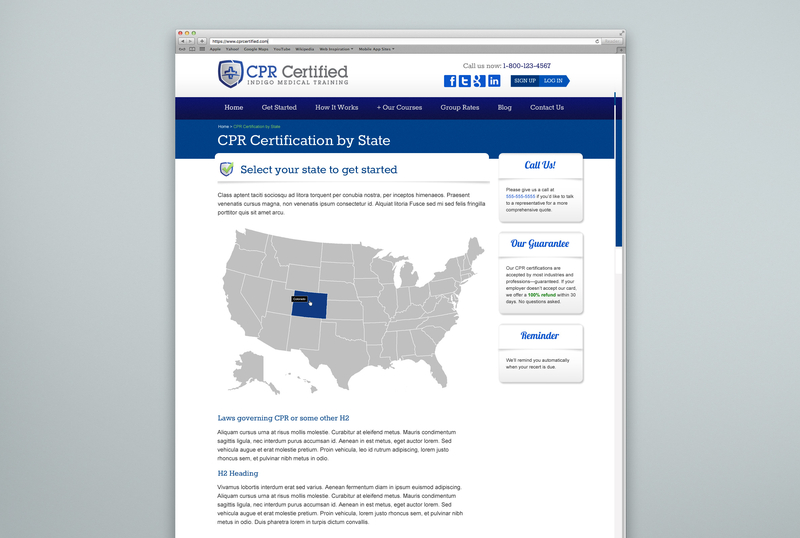 It is possible to be certified within 45 minutes on CPR Certified. With quick online registration, easy and short video training, and user friendly exam, you can be certified in no time. The site is mobile friendly using the responsive web design approach, which is also the preferred method of mobile site design by Google and Bing. The site is also fully SSL enabled, again, a leading edge compliance that Google is urging sites to comply with. 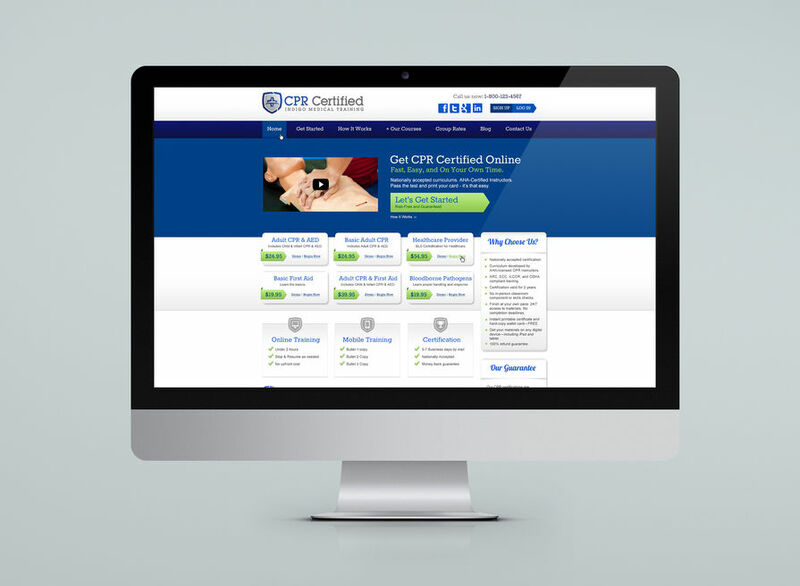 The site offers a login area for those who are learning CPR and a detailed backend for managing the content, blog, video instructions, students and certifications.